[Bangkok, Thailand] Wireless Road in downtown Bangkok may not be on the radar yet, but its charm and uniqueness may just make it the next hip go-to place in the city. 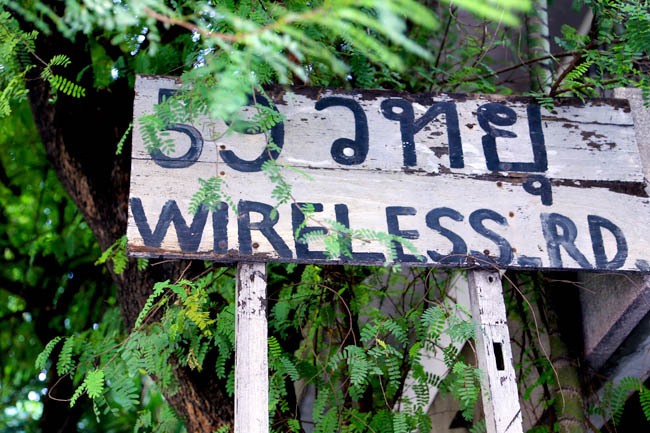 Flanked by the areas of Ploenchit, Chitlom, Ratchadamri and Lang Suan, Bangkok’s Wireless Road made its mark on the map as the place where international embassies and consulates were first established. 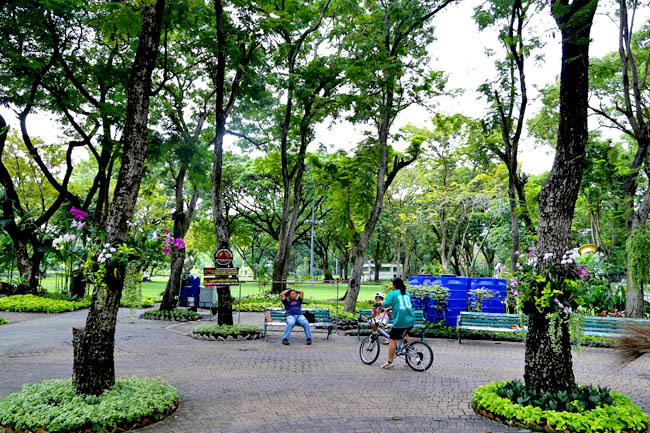 If you look further into the neighbourhood, you would find shopping malls (such as the swank new Central Embassy), art galleries, local markets, the 142 beautiful acres Lumphini Park and of course FOOD places. Wireless Road is in a neighbourhood that is cosmopolitan and yet still very local. 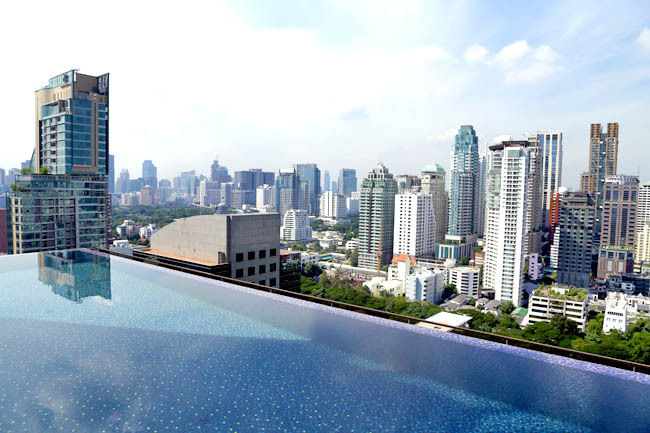 The brand new Hotel Indigo Bangkok Wireless Road which opened early 2015 is also located at Wireless Road, which makes it a perfect base to explore the colourful city of Bangkok. This is also the first Hotel Indigo to open in Southeast Asia. A unique feature of the Hotel Indigo brand is that no two Hotel Indigo hotels are alike. Each hotel is designed to reflect its ‘Neighbourhood Story’ – the local culture, character and history of its immediate neighbourhood. In Bangkok’s case, Wireless Road. We took a walk around Hotel Indigo Bangkok, and are excited to share with you these EATS we discovered in the neighbourhood. Was excited to make my way to a ‘celebrity restaurant’. Boss aka famous Thai TV host Kiat Kitcharoen “Sumo Gig” wasn’t there when we visited though, but we still got to try the home-grown recipes from his mother Khun Sucha. 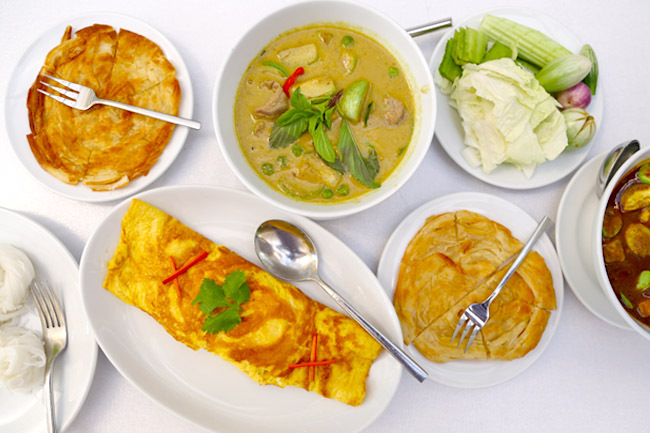 The must-try dish at Baan Glom Gig is the Khai Jiew Khun Sucha. Some may say “It’s just fried egg”, but this is NOT just any egg dish. The Mom’s recipe Omelette (100 baht) looked way simple with its longish-shaped exterior, but when cut up like a piece of cake, revealed pillowy soft and fluffy texture. It kind of reminded me of what my own grandma used to cook. Other recommended home-styled dishes are the Stir-Fried Sirloin Beef with Green Curry (260 baht), Rice Cracker with Special Spicy Dip (150 baht), Creamy Seafood Tom Yum (280 baht) and Deep Fried Crispy Morning Glory Salad (230 baht). 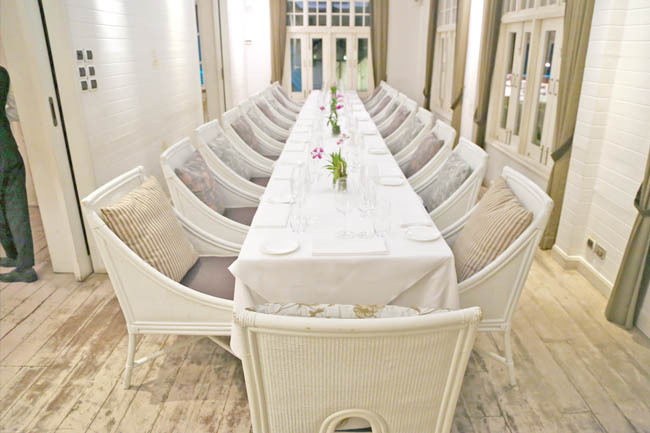 While prices here could be higher than the average Thai restaurant, its contemporary décor and comfortable setting within a two-storey white house, would make you feel right at home. This was my second visit to Gaggan. While we tried almost entirely different dishes on its degustation menu, the exquisite experience still remained, making this one of the best and most memorable meals I ever had in Bangkok. Gaggan, helmed by Kolkata-born chef Gaggan Anand, achieved international acclaim after it was chosen as The Worlds 50 Best Restaurants (at No. 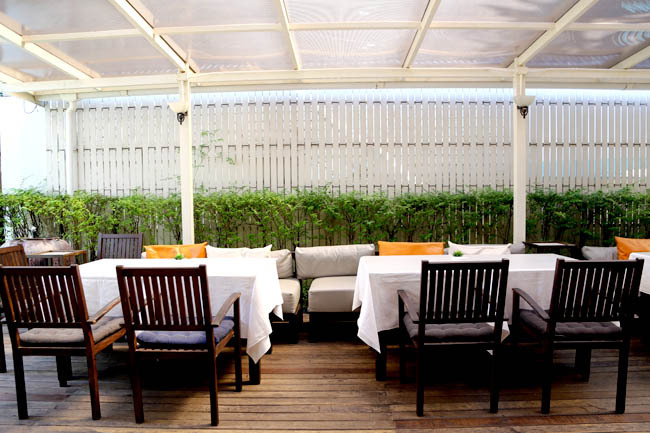 17), and ranked 3rd in Asia’s 50 Best Restaurants in 2014. 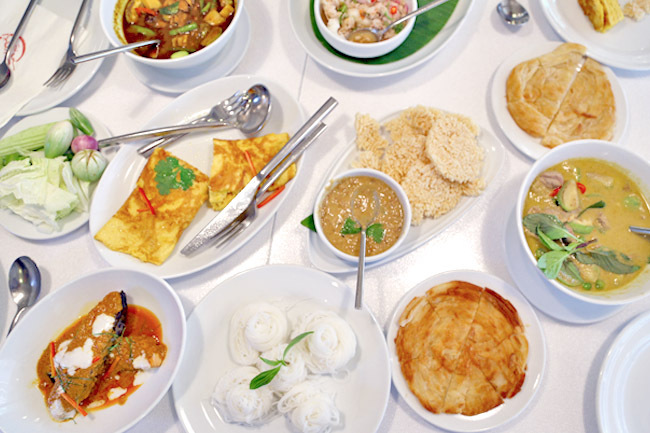 This progressive Indian restaurant set in a 70-year old restored colonial bungalow is found in the heart of downtown Bangkok. Expect the unexpected, from River King Prawn in curry leaf infusion and mango chutney, Norwegian diver scallops in young coconut curry, to Iberian Pork Belly stir-fried with vinadaloo curry and sweet potato. Indian dishes, reinvented. Come with an open mind, and empty belly. If you walk around the street food stalls of Bangkok, you may notice golden crisp oily deep fried chicken EVERYWHERE. We heard that Soi Polo Chicken could be very well be Bangkok’s best fried chicken restaurant, and knew we just had to come – no matter what it takes. A short 15-minute walk that was. 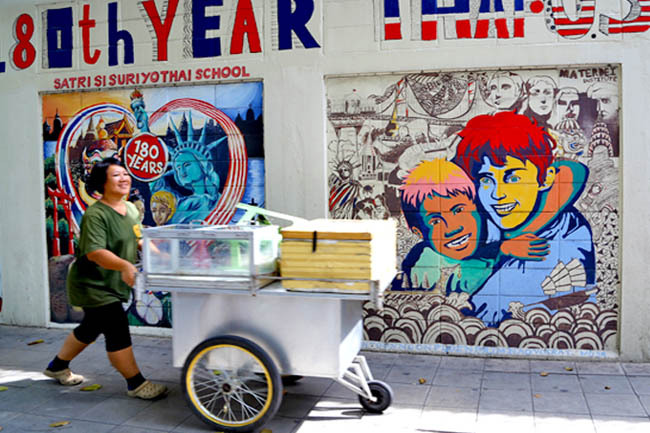 The well-known and long-standing E-san food specialist has attracted many, from royalties and celebrities to local Thai office crowd in the vicinity. 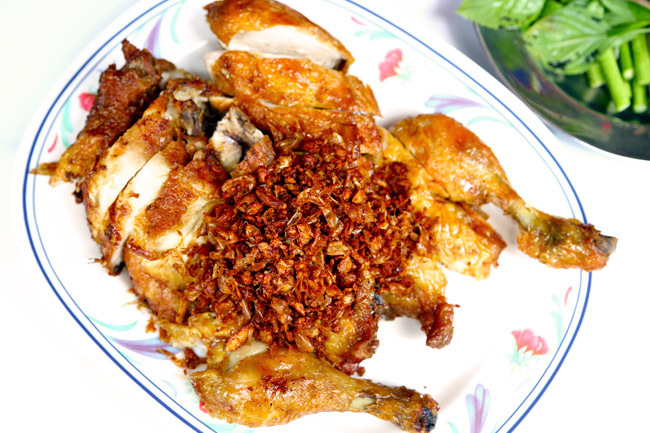 They all come for one main reason – the Kai Todd (120 baht for half chicken, 240 baht for whole) Fried Chicken, flavoured with black pepper and topped with crispy golden-brown garlic. Most would savour this dish with sticky rice and som tum (papaya salad). While I found some parts of the chicken dry, the tender juicy drumstick dipped with spicy sauce was a tasty experience hard to forget. Aroy mak mak! The Thai style fish cake was also the bomb. 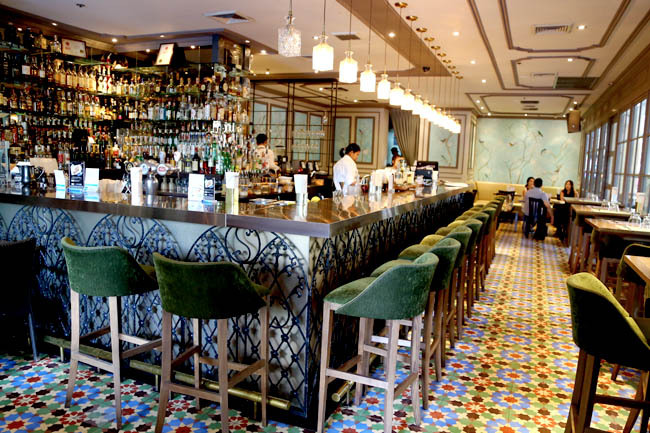 Many of Bangkok’s restaurants score in terms of style. The same could be said for Thang Long (the former name for Hanoi in Vietnam). 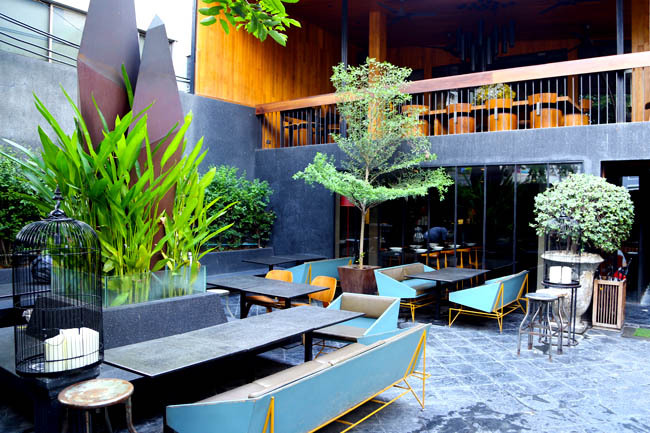 Dark wooden furnishing, water features, an outdoor seating area like a bar by the beach and loungy music would appeal to the chic and stylish crowd in Bangkok. 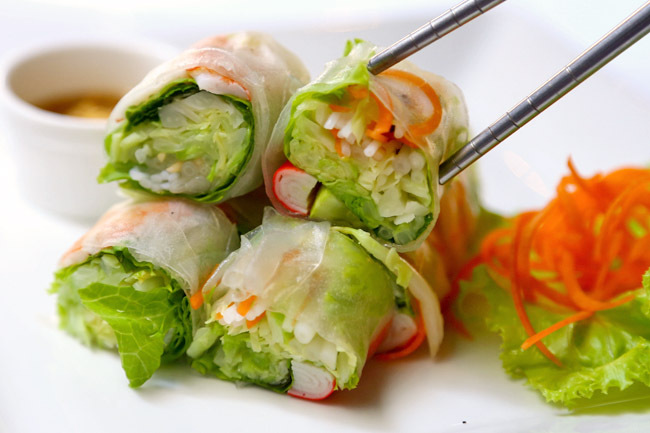 The modern Vietnamese restaurant serves food tapas style, so expect dishes from the predictable such as pho, Viet spring rolls and vermicelli, to steam ravioli and deep fried frog legs (!). I would remember Thang Long more for its décor than its food, and I don’t mean it in a bad way. Conceptualised by celebrity chef Ian Kittichai, Hyde & Seek Gastro Bar had been called Thailand’s first “London-meets-New-York-meets-Asia” gastro bar. 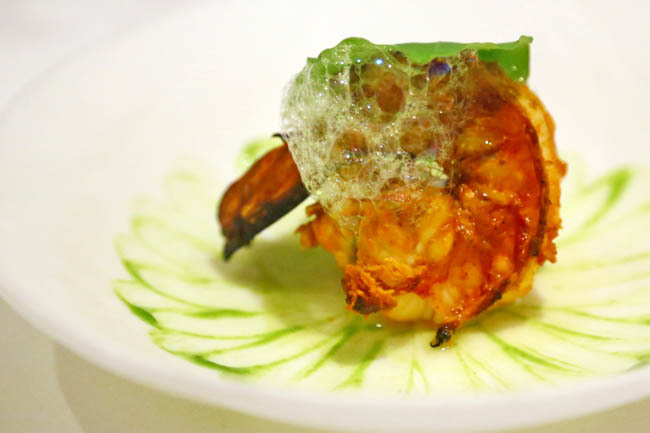 While Gaggan is for fine dining, this is for fun dining. Six words. Eggs benedict, eggs benedict, eggs benedict. Okay, that was two words, but we heard so many recommendations for their brunch bites. 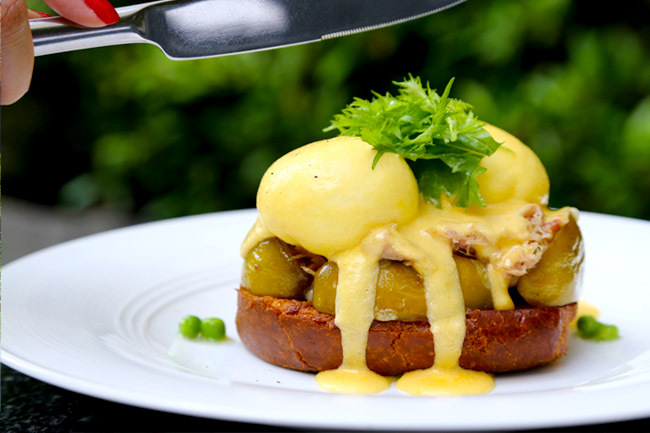 When we saw the Boyscout Benedict (250 baht) with poached egg purses, roast apple, smoked maple syrup and spider mustard, our hearts stopped a beat. The addition of those sweet caramelised roast apples was ingenious, as we swept the messy-looking plate of runny yolk clean. Hotel Indigo will be celebrating the launch of its first property in Southeast Asia with Hotel Indigo Bangkok Wireless Road by illuminating the Wireless Road neighbourhood with lights and music. 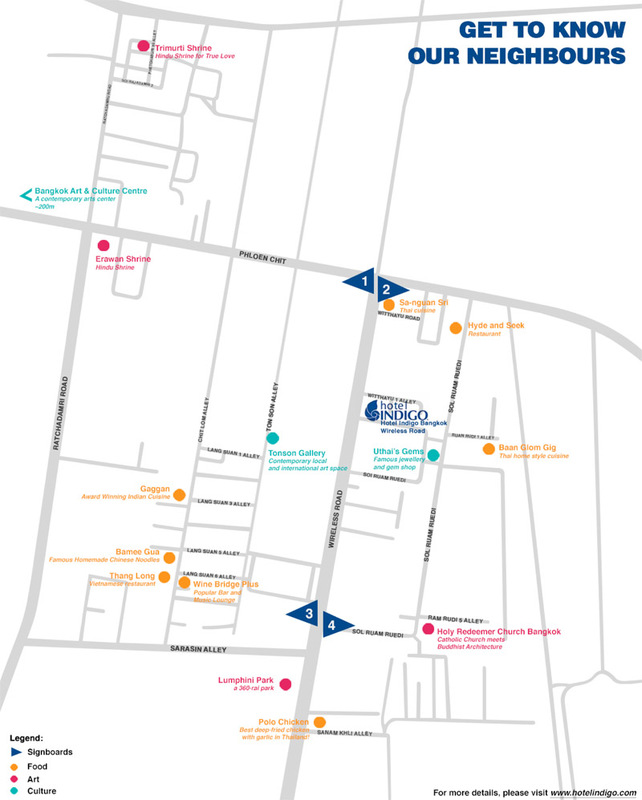 There will be walking trail and floor markers to guide people throughout the day, and jazz musicians at different locations around the neighbourhood evening onwards. Instagram Contest: You can now WIN a 4D3N holiday with Hotel Indigo in Asia, inclusive of return air tickets for 2! Just instagram a pic or video of your favourite neighbourhood, hashtag #myneighbourhoodcontest and include your name, where you are from and a short description of why it inspires you. It can be about FOOD, culture or the arts. Head over to www.iconosquare.com/contests/hotelindigo for more information. *This post is brought to you by Hotel Indigo.